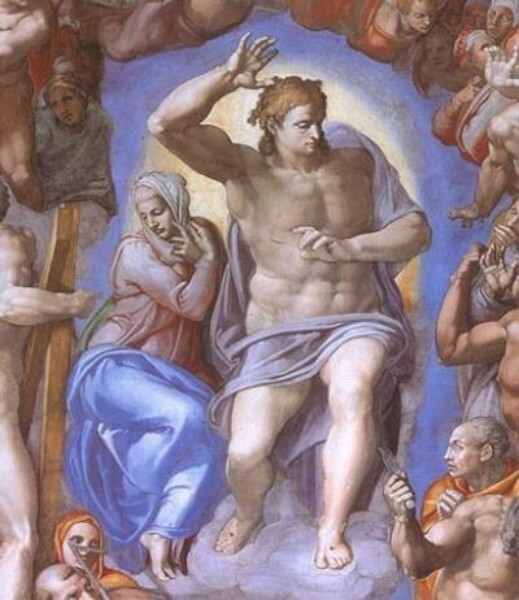 "Christ in Judgement" by Michelangelo, Sistine Chapel, Vatican, circa 1510. This image probably caused a sensation. Modern visitors probably don't even realize this is supposed to be Christ unless they are told by a guide or notice the stigmata.